Japan is such a beautiful country that is jam-packed with experiences for every age, from all the local delicacies (read: poisonous blowfish!) to robot cafes and ancient temples to cutting-edge toilet bowls. There’s just so much to see that you’d think you’d be hardpressed for time in just one week. But in this itinerary, I’m going to show you how you can have the best time and maximize those experiences in just one week! 1 Make Osaka your base. If you can see in the map below, Osaka is kind of the mid-point between Kyoto, Nara and Hiroshima so it’s a good idea to make Osaka your base for the whole week which will save you the hassle of checking in and out of hotels. Some might argue that Kyoto is a better place to have as a base, but it really depends on what you want. Of course, Osaka is a bigger city whereas Kyoto is a smaller town, but very quaint. So if you are looking to get away from the hustle and bustle of the city, Kyoto might be a better option for you. If you’d like you could even split your nights between the two cities, but we opted not to. Take advantage of this revolutionary Japanese technology that cuts your traveling time in half, and sometimes more! With just 7 days to spare, you’ll need to get from one place to another in the fastest way possible to see as much as you can! 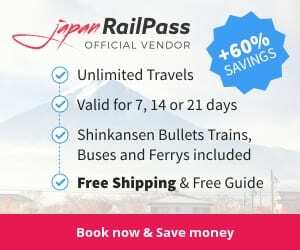 If you’ll be traveling to a few cities in Japan, or following this itinerary, make sure you get a Japan Rail Pass as it’s the most economical way to get around. Purchase it online and get it delivered to you in 24/48 hours! We visited in the first week of September, and the weather was still really hot and humid, reaching about 35º on most days! Imagine sightseeing in that heat. I’d recommend coming any time but summer in Japan. We arrived at Kansai International Airport at 9am, where our airport transfer was waiting for us. When I travel with my family, we like to play on the safe side and always pre-arrange transport waiting for us once we land, although it is quite convenient to get to the city by train. The private transfer cost roughly $75 so it might be worth it if there are a few of you traveling to split the cost. We stayed at a cozy little Airbnb close to Shinshaibashi and Dotonbori. I would strongly recommend staying in this area as this is where most of Osaka happens! One of the must-sees in Osaka is the Osaka Castle! Having been to so many castles around the world, I found this to be a tad underwhelming. The castle was burnt down and rebuilt quite a few times, so there isn’t that ancient flare many castles around the world still possess. Many other blogs advise against going into the castle, as there isn’t much to see. It’s turned into a museum where you can check out artifacts from the castle, but personally, if you’re not a history buff, I’d take this off your itinerary. If you have lots of time on your hands, it’s only ¥600 per entry and you can just tick it off your list! However, it’s the surroundings of the castle grounds that steal the show. It’s such a nice walk (when it isn’t 35ºC out!) in the park, and there are benches where you can sit and have a picnic. There’s even a ledge that you can sit on and take pretty pictures of the sky (like my cover photo above – check out that awesome Japanese blue sky!). If you grew up playing Pokémon (or were into the Pokémon Go craze), it’s probably an interesting place to visit. They have mostly plush toys, so it might be nice to bring home a Chansey of your own 🙂 It’s located on the 13th floor of the Daimaru Umeda Building which is accessible from the Umeda or Osaka Station. This is another famous tourist spot, with the famous glass escalators connecting the two buildings. You could pay to go up to the highest floor, but we really just wanted to check out the cool escalators. I’d recommend maybe going in the day for a better view! Shinsaibashi and Dotonbori are where it’s at. This is where the main hustle and bustle of Osaka is, and where you’ll find endless shops and restaurants, and also the famous Glico man! Don’t forget to take a shot with him (like I did below). The mandatory touristy photo here at the famous Glico ad. Also, I seem to have made a friend! Shinsaibashi is the shopping district, and Dotonbori is the food district. Both main streets cross at an intersection so they are right next to each other. It is extremely packed with people, especially on weekends! 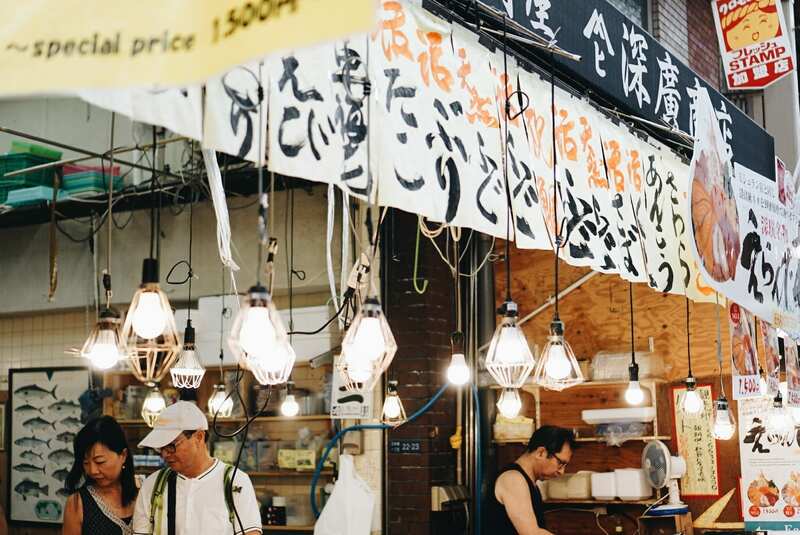 Osaka is well known for its seafood and Kuromon Market is the perfect place to sample all sorts of them! If you’re not a seafoodie, then there’s plenty of options as well! It’s even great to just walk through and bask in the atmosphere. Blowfish, or fugu, is considered more poisonous than cyanide and can kill if not prepared properly. Chefs need to have at least 3 years of rigorous experience before they are licensed to serve this deadly dish. So, make sure you check the chef’s certification before taking the leap! Well, if you’re gonna YOLO it out and risk your life, might as well go for the best in town – Zuboraya. You won’t miss it with this giant pufferfish hanging outside. We decided to go all out too, by trying fugu in a few different styles – sashimi, boiled, fried and sushi. There was even fugu skin, fugu innards… it came to the point where I had no idea what I was eating anymore. The sashimi version is really thinly sliced, and the texture is really crunchy, like geoduck sashimi. Thank the heavens we are alive today to tell the tale! And it was a pretty yummy meal to top things off! We arrived about 15 minutes before the park opened to start queuing. Once we got in, the park was so empty, that we could just stroll around and have the streets (almost) to ourselves. Note that this was early September, so it was low season. 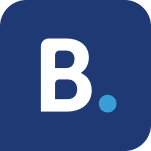 ⇒ Accommodation: Find your perfect stay in Osaka here. Kyoto is only a 30 minute train from Osaka so it can easily be done in a day. If you take the JR to Kyoto from Osaka, the easiest thing might be to take the JR from Kyoto Station to JR Inari Station (5mins). Getting around Kyoto turned out to be quite difficult after that as there aren’t as many Subways spread around as Osaka, and it isn’t small enough to walk, so we ended up taking taxis most of the time. These are the iconic torii gates you see when you google Kyoto or Japan for that matter. It can be quite misleading as it is soooooo crowded. It’s actually really hard to get a photo of these torii gates without hoardes of people in it. But keep walking all the way up and the crowds should lessen, so you can take a super cool picture of yourself without the hoards of people in the background. From Fushimi-Inari Station, we took a local train to Kiyomizu-Gojo Station (¥210, 7mins) and then walked another 1.7km to Kiyomizu-dera Temple! Boy, were we done with walking for the day. 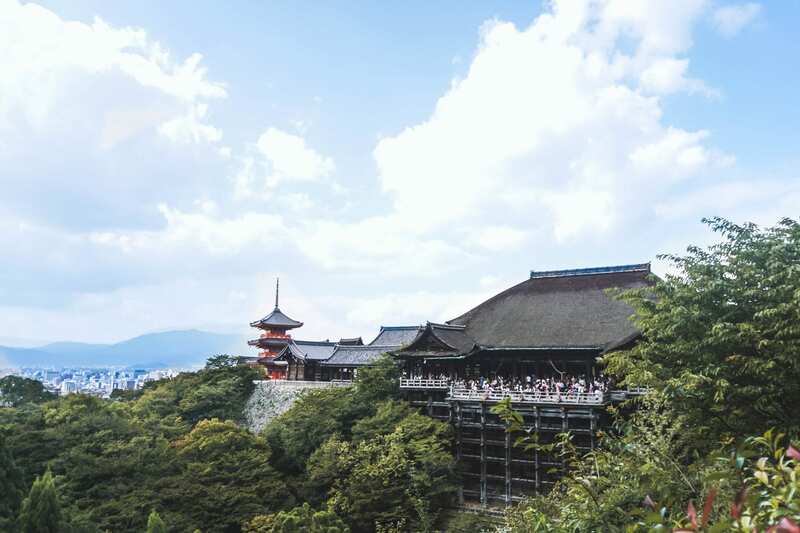 Kiyomizu-dera is famous for it’s views of Kyoto from it’s wooden viewing deck. But it’s paaaacked with people! Don’t miss visiting the Jishu Shrine which is dedicated to the deity of love and matchmaking. Here you will find the famous love stone, where if you walk from one stone to the other with your eyes closed, you will find your one true love! I love these Japanese traditions about making wishes and making your troubles go away. Another very unique experience at Kiyomizu-dera is the Zuigudo Hall. It is quite concealed so do look out for it. You just pay a small entrance fee and then descend into a pitch black basement that’s supposed to symbolize a mother’s womb. The darkness that you experience is pretty intense and was definitely an experience I’ve never had before, but so memorable! You only have the guide of a hand rope to hold on to to reach the middle of the “cave” wherein lies a large stone. And in keeping with Japanese beliefs, if you touch this stone and make a wish, it will come true. The whole concept of this is to allow yourself to be enveloped by the darkness, and it really does incite fear, but as you work your way out of the darkness, you achieve clarity in your thoughts. Super neat and a great experience! We took a cab to Nishiki Market (¥1500) for lunch and we had already passed the lunch crowd so most places were closed. Quite an interesting place to be at but mostly fresh foods, so we settled for a nearby Udon place instead. I’d definitely recommend coming during lunch to sample the foods here. From Nishiki Market, we took another cab to Kinkaku-ji Temple (¥1890). Kinkaku-ji is the famous reflective temple in the middle of a pond. Though, you’d have to come at the correct times to see it reflecting. Unfortunately, we didn’t. 🙁 But it was still a beautiful temple and a great walk in the gardens. When I was researching on places to go in Kyoto, I only read about the bamboo forests in Arashiyama. But there’s actually more than that! We took a cab from Kinkakuji which cost us ¥2540 as it is quite a distance away. But it is such a serene place to end the day. There is a beautiful dam that you walk past on the way to the bamboo forest, and I would recommend taking a leisurely stroll here; it’s so peaceful! Don’t forget to try the fantastic coffee here with a view! Best view for coffee at % Arabica! ⇒ Accommodation: If you decide to pick Kyoto as your base, find your perfect stay here. We came for the deer! The deer are everywhere, and they are super courteous! They even bow ‘please’ and ‘thank you’ when you feed them crackers that you can buy from the locals selling them there. Minus the tourists, Nara is actually a sleepy little town with quaint little locally-run shops. 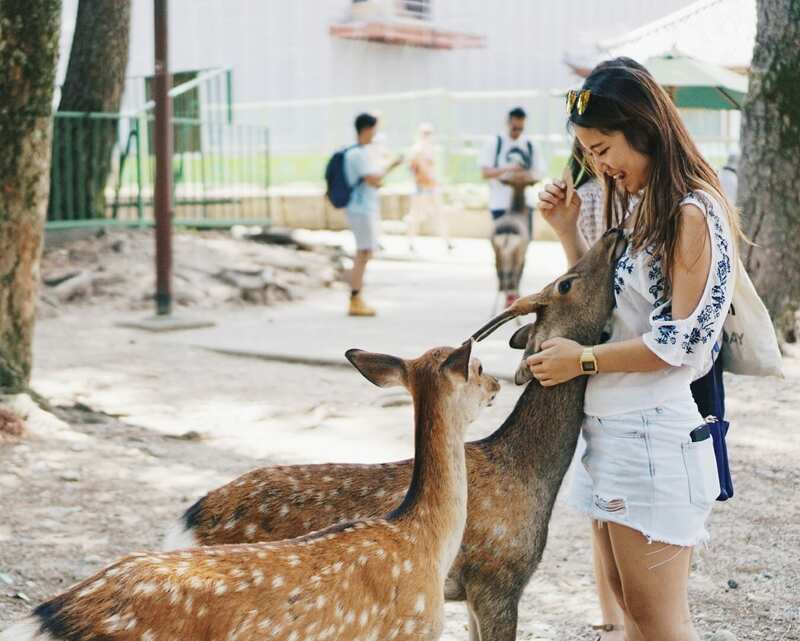 We really like the relaxed vibes of Nara! While you’re walking in Nara, greeting and feeding the deer, you eventually reach Todai-Ji Temple, a definite must-see when in Nara. It is one of the biggest wooden structures in the world and houses the world’s largest bronze Buddha statue. 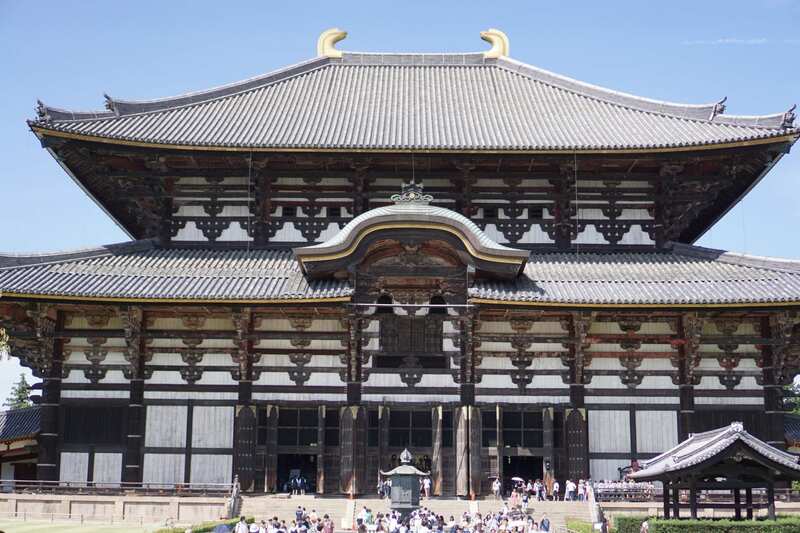 ⇒ Accommodation: Find your perfect stay in Nara here. Hiroshima is a little further away, but with the Shinkansen, it only takes about 80 minutes to get here from Osaka! That’s super fast considering how far away it looks on the map. From the Hiroshima Station, take the Sanyo Line bound for Miyajima-guchi (30mins). From here, just transfer to the JR Ferry across to the island. Here you will see the famous Itukushima Shrine! Unfortunately they were doing some works on the shrine, so it was quite an eyesore. Hopefully you will have better luck seeing the infamous shrine when you visit! Also, don’t forget to try their famous Momiji Manju, a local Miyajima delicacy. No trip to Miyajima Island is complete without indulging in OYSTERS! You can get your fix at Yakigaki No Hayashi, which serves oysters in any method you can think of. There’s usually a short queue outside, but it is so worth it. We tried the recommended set, that had oysters fresh, boiled, fried and grilled! There’s even a tiny replica of the Itsukushima Shrine. Too cute. Half a day is enough here at Miyajima Island. We even took our time taking a load of photos but had ample time leftover, so we took the ferry back to Hiroshima. The Atomic Bomb Dome is just a short train ride from Hiroshima Station. This is where the first atomic bomb in human history was dropped. The bomb was dropped almost directly above the Atomic Bomb Dome, but somehow avoided destruction. Today, it stands as a reminder of this tragic day. It feels quite surreal walking around the A-bomb Dome, seeing how the residents have seemed to have moved on from this tragedy. The surroundings of the A-Bomb Dome are really beautiful and serene, that you wouldn’t think something so tragic had happened here decades ago. The Peace Memorial Museum is also worth a visit. It’s really informational and you can learn a lot about the bombings that occurred here in 1945. Okonomiyaki is a Japanese savoury crepe that contains a variety of ingredients of your choosing. Here in Hiroshima, they have their own version called Hiroshimayaki! The best place to try it would be Okonomi-mura which is a building filled with Hiroshimayaki stalls – so take your pick! 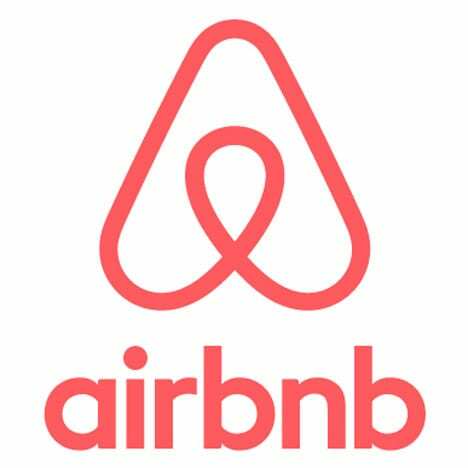 ⇒ Accommodation: Find your perfect stay in Hiroshima here. So here marks the end of our Japan trip. I hope this helped you in planning your own little journey! Have you been to this region of Japan? What would you have done differently? Or if you’ve been, what would you have done differently? Share your thoughts in the comments below! Regarding Kinkaku-ji Temple – what can you do there? does it cost money? are there kid friendly things to do?? Hi KJ, Kinkaku-Ji Temple is just a floating temple that’s situated in a nice little park. It’s a quick walk, so you won’t spend very much time here. I don’t remember any kid-friendly stuff specifically, it’s mainly a sightseeing spot. I believe it’s 400yen for entry, kids under 7 should be free. 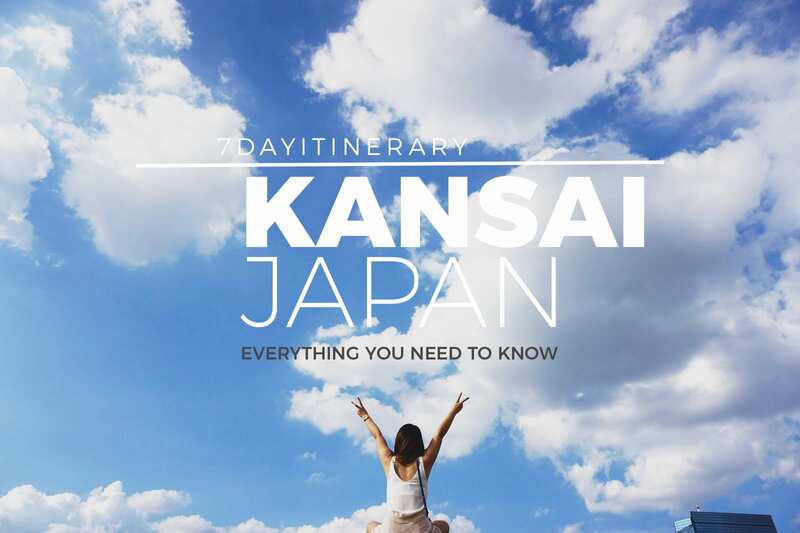 Great that I stumbled on your blog as I am working on my itinerary using Osaka as base. Pls can I know if you walked to all the places you mentioned above? What time did u leave in the morning? Did u buy a JR pass or u bought a Kansai-West train pass? We left around 9-10am every morning. Hope this helps! Hi Stef, thanks for the reply. I mean to ask when u arrive at the destinations say Hiroshima, did u walk to the local attractions or u cab there? Hi again Angie! In Hiroshima, we will the train and bus most of the time, though some places were close enough to walk!